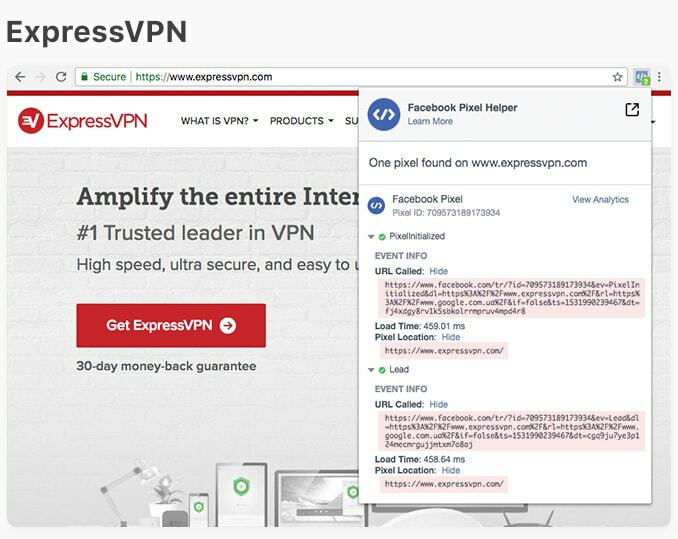 VPNpro ❯ The VPN Blog ❯ Top VPNs sharing data on users with Facebook – Again! 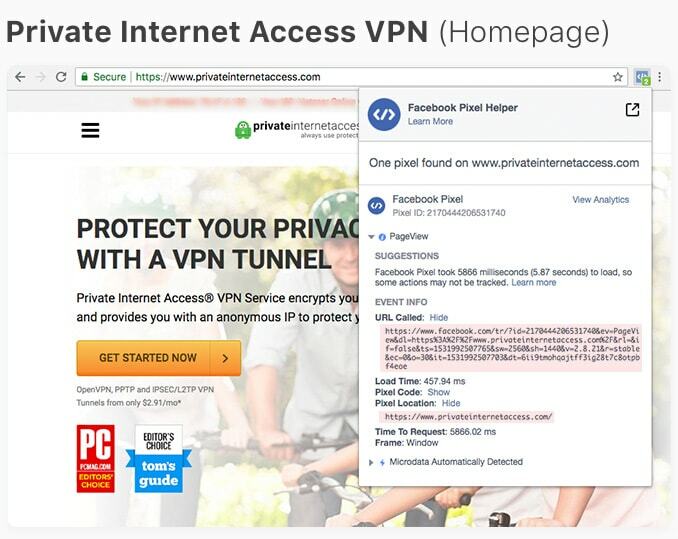 Top VPNs sharing data on users with Facebook – Again! 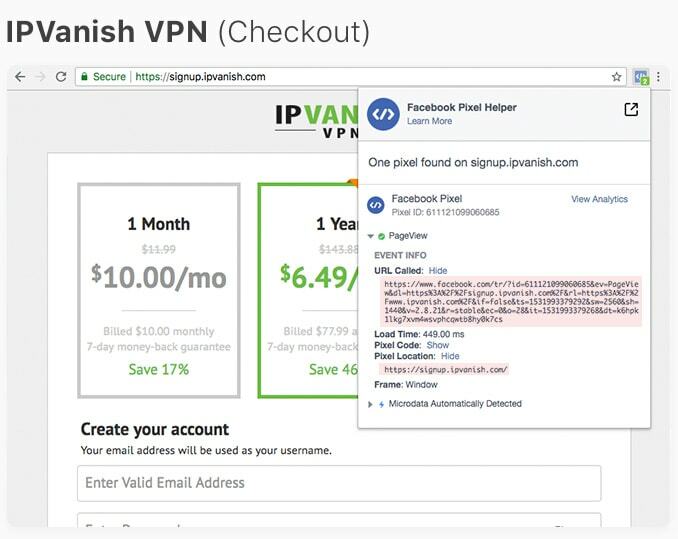 The ghost of Facebook pixel tracking on VPN websites is back! Running a VPN service has a lot to do with building trust. Most of us are not really aware of what happens online, behind the binary shroud. We don’t know when we’re being tracked or where that data ends up going. That’s why trust is so important – mostly, we can only trust that a VPN is doing what they say. We have no means to infiltrate datacenters, hack emails, or engage in subterfuge to get to the truth. Watching Netflix is a lot more fun than playing David in his fight against the mighty digital Goliath! Sadly, trust is brittle and VPN providers don‘t always play by their own rules. 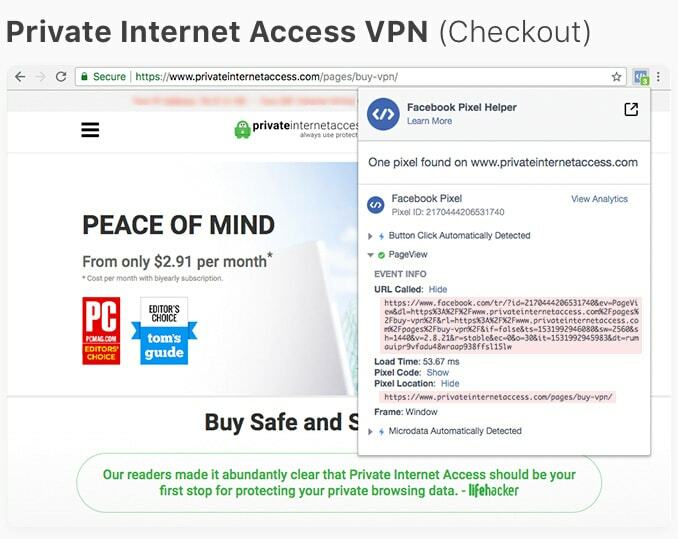 Recently, an unfortunate report made the rounds, demonstrating that many top VPN providers have a Facebook pixel on their websites. This means users‘ behavior on these sites is tracked and the data funneled to Facebook for marketing benefits. We‘ll get to why that‘s problematic in a bit, but there‘s some interesting history here. When the story broke (only a few months back! 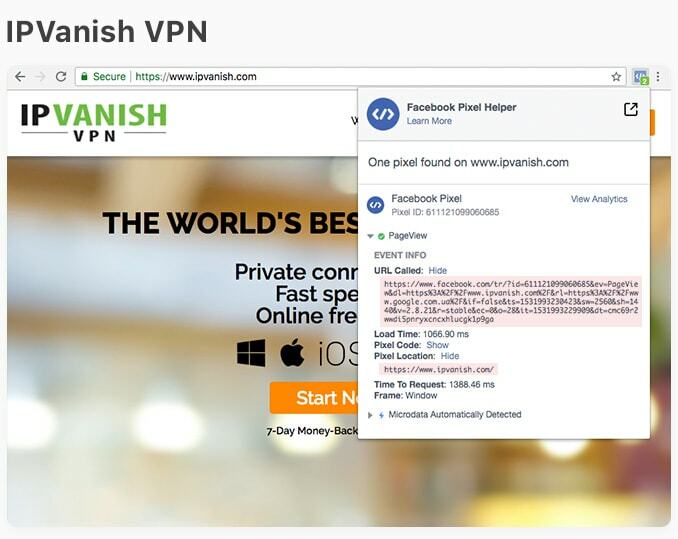 ), many VPN providers mentioned in it quickly responded and removed their Facebook pixel. 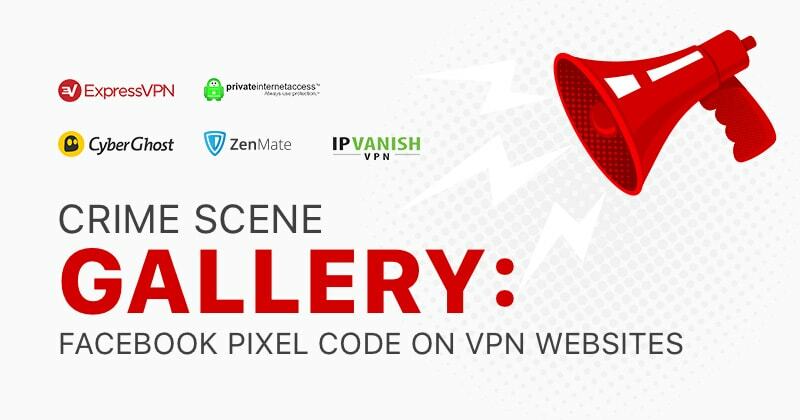 Time went on, the story stopped mattering, and, what do you know – Facebook pixels are in vogue again and so is tracking your behavior on VPN websites! It‘s great to see that some have nothing to report. Others are new to this thing, so let‘s give them a warm welcome! As early as last week we reported about an issue with VPN providers using Gmail. 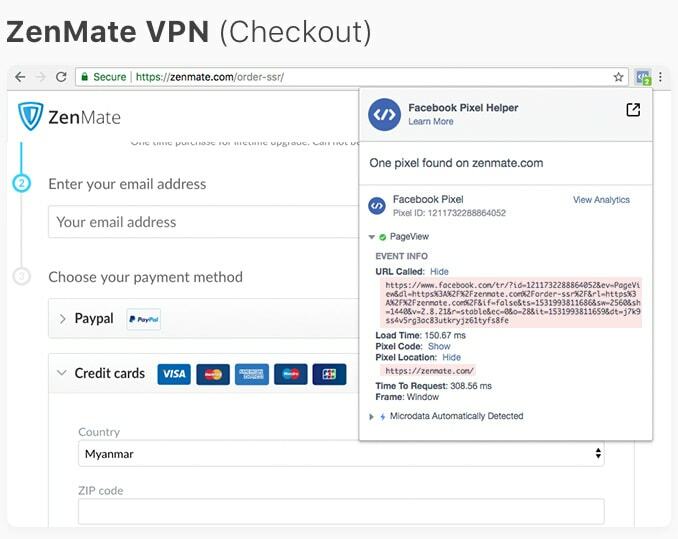 ExpressVPN and ZenMate responded and even accused us of sensationalism. Yet here we are again. 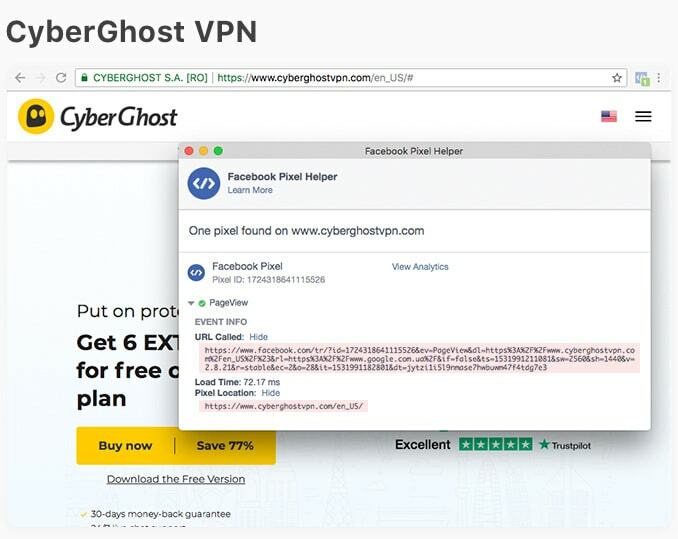 We‘re surprised to see CyberGhost VPN on this list – they are generally quite good with your privacy. Then there‘s two more big names – Private Internet Access and IPVanish – and some others. 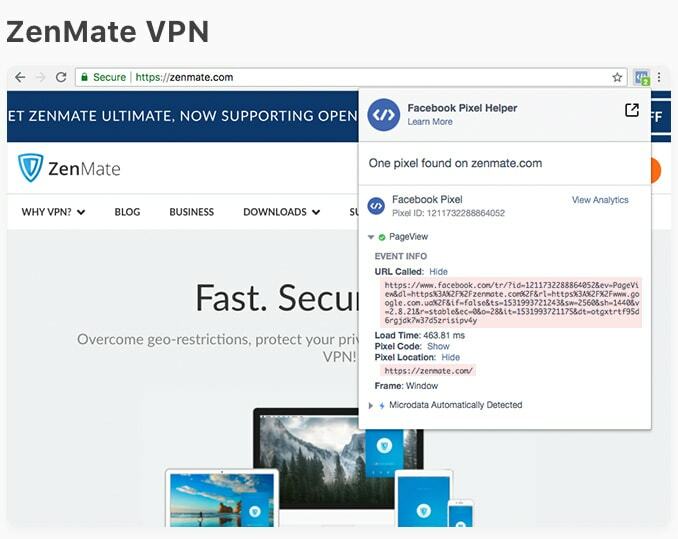 We‘re happy to see that PrivateVPN, Hotspot Shield, and VyprVPN, all of which were mentioned in the previous report, are not using a Facebook pixel – good job! And there are also some VPNs that have never used it to our knowledge, and are not using it now – namely, NordVPN and TorGuard. What is the Facebook pixel and why should you care? Using this data, Facebook can provide more efficient advertising (for you or for others). Two particular tools come to mind: lookalike audiences and custom audiences. The first may use data gathered from pixels to build groups of people with similar interests (some who perhaps have never even visited a pixel website). The second might exclude one from VPN adverts if you’ve already bought a VPN (for example). Facebook can easily match web browsing data to your personal profile, meaning they can personalize to a very high level. It’s not merely about big audiences – it’s also about getting personal with complex ID matching, your Facebook profile leaving a trace all over the web, and so on. Using these techniques they can efficiently track you even across devices. We can debate these marketing practices to no end, but that’s not really the point. The real problem is that Facebook controls the information tracked by pixels, and, as we all know, they don’t have the best privacy record. Although it dealt with a different type of issue, the Cambridge Analytica scandal showed the level of concern for privacy you can expect from Facebook. Do you want them to know you’re using a VPN? VPNs are supposed to keep your online activities private, and mostly they do. But, somehow, they have no issue being a threat to privacy themselves! So, we have a rhetorical question: how do you trust a thief? The basic premise behind using a VPN is privacy and anonymity. Compromising here puts VPN providers in a SPOT. ALl VPN providers should come clean whether they use Pixel or not. Even better, they should stop using it altogether. i really haven’t seen a better free VPN that’s 100% perfect. Majority of them collect your data in exchange for the free service given to you. 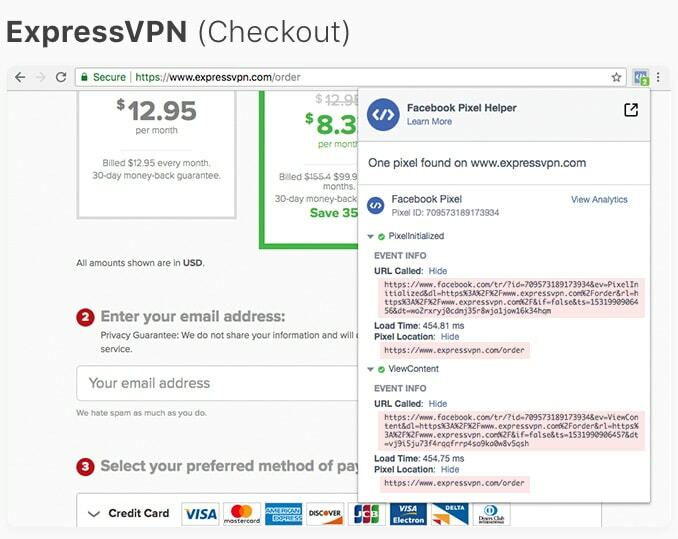 Was considering switching over to ExpressVPN paid subscription but I don’t know, Do they have WebRTC leak protection ? I’m really glad I chose NordVPN ! 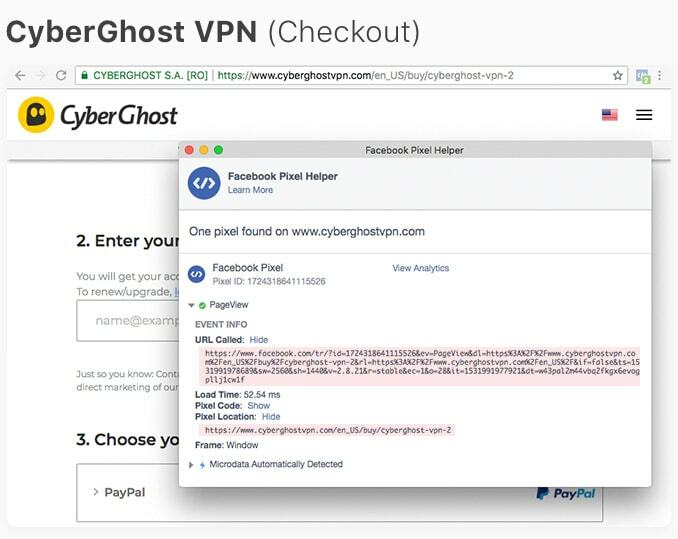 At the time I was hesitating between NordVPN and Cyberghost, now I’m glad I didn’t choose Cyberghost. Honestly NordVPN is the best VPN out there, no doubts. What? IPVanish?? I can’t believe it. I used it for a long time before switching to NordVPN. Good thing I did, the last thing I would want is for Facebook to have my data. Hey, that’s totally a surprise, yes? Sadly, it is true and these issues can affect your private data a lot… So, it is a really nice thing that you changed your service provider previously and do not have to think about these kind of issues anymore! No need to trust a thief when I’ve been using NordVPN all along. The fact that they do not keep any logs and that they do not use any of this facebook pixel crap just gives me more reasons to renew my subscription.